After having experienced during my stay in France what can truly be called, without any fear of exaggeration, a medical powerhouse, I return to the contrast of our sad reality. Speaking to each of them separately, they have commented to me on the ever more noticeable state of deterioration of health services in our country. They are also in agreement on the lack of financial stimulus in this sector, which is leading to disenchanted young people to forgo medical careers. Then there is the exodus of doctors, now made possible by the “new emigration regulations, which grant them the ability to travel. They are leaving the country in search of better economic opportunities and greater recognition. Some leave only because they want to go exploring, but unfortunately most will not return. One of the other issues most affecting health care workers at the moment is that, following demands for increases in their salaries, authorities have decided not to raise them “owing to economic problems confronting the country.” Instead, as a humiliating consolation, they have decided to pay two Cuban pesos (the ordinary kind) to doctors for every hour worked, fifty centavos to nurses and twenty-five centavos to all other auxiliary personnel. In other words, after working twelve hours in a hospital, a doctor receives a compensation of twenty-four pesos (approximately one dollar). Nurses receive six pesos, and auxiliary personnel get three. This situation is truly shameful, especially given the shortage of personnel, who are called upon to work more frequent shifts. It is no wonder that increasingly we have fewer and fewer doctors. At some point we may have to seek treatment overseas, where the services of our excellent doctors are valued. Now, as the 2013 Art Deco Congress is being held in our country, and invitees and delegates attend its conferences, an average of three residential structures a day collapse in the capital. The influence of Art Deco, which dates to the 1920s and 1930s, was strongly felt throughout the world in the decorative arts, painting, fashion, sculpture, cinema and graphic design. The most emblematic architectural example in our country is the Bacardi Building, constructed from 1930 to 1938. The Cuban architects Esteban Rodríguez Castell, Rafael Fenández Ruenes and José Menéndez oversaw its design and execution. It is considered by many to be their masterpiece and fortunately remains in a very good state of preservation. Examples and remnants of this movement proliferate throughout the city. Among them in the López Serrano Building – a beautiful example of this style, a structure of elegance and a striking design – which has been plundered and abused as a result of neglect and apathy on the part of government officials. It is at risk of being lost if urgent measures are not taken to address these issues. 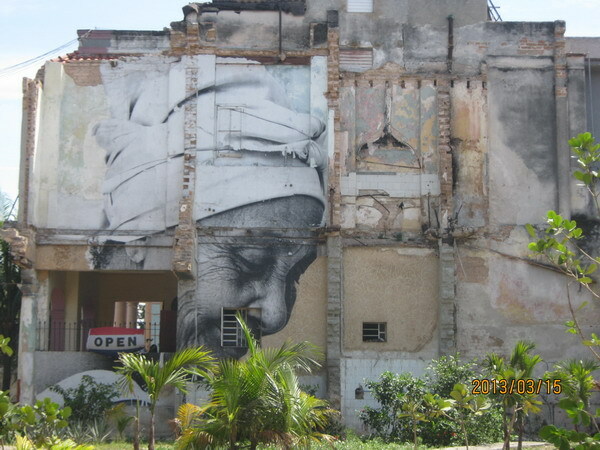 Other examples include the América, Fausto and Arenal cinemas, all in peril as well. In health care this architectural style finds expression in the América Arias infant and maternity hospital by the architects Govantes and Cabarrocas. A beautiful example of Art Deco, this building has also been abused and it too is in danger of being lost. 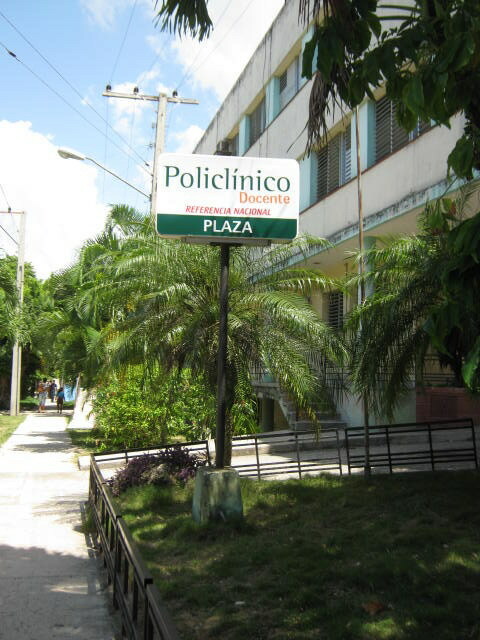 There is also the Pedro Borras children’s hospital, which has been closed for more than two decades due to structural problems, no doubt caused by nearby explosions during the construction fever of 1980s when tunnels were being built all throughout the city as part of the “War of All the People” campaign. At the time of its construction this facility was the largest example of this architectural style, larger even than similar examples in the city of Chicago. In terms of military buildings the Moncada Barracks in the city of Santiago de Cuba is in a very good state of preservation indeed. During a wonderful presentation called “The Havana of Today and Tomorrow” yesterday afternoon in the House of Green Tiles in Miramar, the architect Miguel Coyula employed the term art-kitsch-tecture (one he coined himself) to refer to monstrosities produced by people with resources but without the slightest amount of taste who have managed to build new homes or remodel those they already own. In other words, something horrendous. One of the issues that most caught the attention of those present was the extremely high proportion, close to 90%, of owners of homes, but not of the buildings, leading to the term “no man’s land.” The building has no owner, therefore mo maintenance or services. Every resident solves their own problems however they can, and this further accelerates the deterioration of the building. In addition, there is the increasingly rampant individualism. “To own does not mean to maintain” the speaker said. 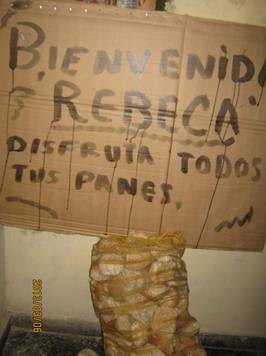 The owner of an apartment whose salary is 300 Cuban pesos a month, cannot invest 45% of that to buy a gallon of paint. Another of the most important reasons for the deterioration of the city, according to Coyula, is the aging of the population. The emigration of young and well-educated people, as well as the migration to the capital of residents of other provinces who, for the most part, are not well-educated and who come mostly for economic reasons and settling wherever they can regardless of the conditions, has significantly increased the number of slum neighborhoods and favelas. This is the current landscape of a greatly overpopulated city; what will be its future? From the moment you know that one of the above mentioned wants to invite you, the Odyssey begins: expensive procedures, paperwork and disbursements, occasionally excessive (in relation to our country), insurance policy if you are travelling to Europe, the cost of the visa, etc. Anyway, all these procedures and payments have to be carried out in CUC, the hard currency, which is precisely not what your salary or pension is paid in. That’s without taking account of the fact that the ticket has to be paid for by the person inviting you. Many people will say to you before you set off on your outbound trip: listen, when you are over there, take the opportunity and connect to the internet, and bring everything you can, because this is your first trip of the year and here you pay on entering in Cuban pesos. What nobody tells you and what you have to be very clear about is that you can connect when your host lends you his computer, and that the excess baggage which is very expensive is paid for in the country where you board, not where you arrive. And believe me it would be too unfair to also charge this expense to your hosts’ account! Generally speaking most of us travel with hardly even any change in our pocket, which can be very worrying. You can be sure that you are going to be waiting around at the airport because with what you’ve got you can’t afford a taxi, as well as the likelihood that any rascal, seeing your worried face, will try to take advantage of you. Once you’ve got to your destination and having had the happiness of seeing faces you know waiting for you, you begin the other stage of your journey: accommodation. You need to accept your host’s arrangements with a smile on your lips, in order not to put him to more inconvenience or expense. You will enjoy all the meals and outings which they have planned and you will offer infinite thanks for all the presents they give you, even if you don’t like them or they are not your size in terms of clothing, because you are also thinking at that moment of the friends you have left on your planet to whom you would like to take back something. Among your excursions there will definitely be included a visit to a big shopping mall, and your eyes will pop when you see the great quantity and variety of things on sale. At that moment you will recognise how wretched you feel about not having the funds to pay for something you have needed or fancied for a long time. Try as hard as possible to resist a visit to IKEA because going there could give you a heart attack. … which they have given you will be very heavy and you will have to wear it going back even though it’s hot. Finally, when you arrive, you will suffer with a mixture of impatience and relief, the huge line you have to wait in order to get thru Cuban customs, something you have forgotten about, due to the speed with which you got thru in the other countries. Some good neighbour will be waiting for you on your arrival, with the loaves of bread, which are entered in your ration book and which he has been good enough to keep for you.